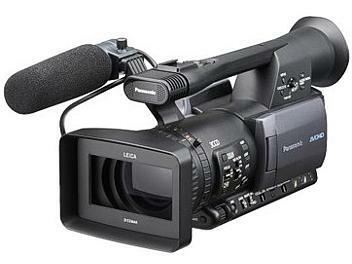 The AG-HMC152 is a memory card camcorder with excellent image quality and high reliability. The AVCHD format employs the new MPEG4 AVC/H.264 codec to deliver approximately twice the compression of the HDV format which uses MPEG2. The AG-HMC152 supports higher bitrate recording mode (PH mode) which realizes higher quality of video images for professionals. Low light excellent, small raw footage save disk space, very light only +- 2 kg with batt & mic so can handheld for long time. l have used this camera for recording many wedding ceremonies, dinner parties, regattas, ( river boat races ) mini documentary series showing the the jungle and its people of Sarawak n aerial videography from helicopter. In low lighting areas and normal lighted areas n with add on camcorder lights this camera performed well..best. Its about 4 years now. I cod not be happier , I am not a professional , but now I can be like one.